Announcement Welcome to Song of My Heart on Etsy! My name's Lyssa and I'm a rubber stamping and scrapbooking fan from way back. But before I was a stamper, I taught in graphic design and layout. I've been able to use the unique perspective and appreciation of design principles to create a set of practical, real-life resources for papercrafters. It's my honor to create files that will literally change the way you craft, preventing hassle and wasted paper along the way, so that you're left with not only more time to create, but stronger, more compelling finished projects, too. 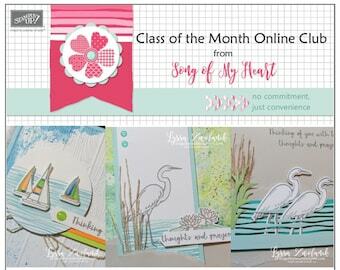 Welcome to Song of My Heart on Etsy! My name's Lyssa and I'm a rubber stamping and scrapbooking fan from way back. But before I was a stamper, I taught in graphic design and layout. I've been able to use the unique perspective and appreciation of design principles to create a set of practical, real-life resources for papercrafters. 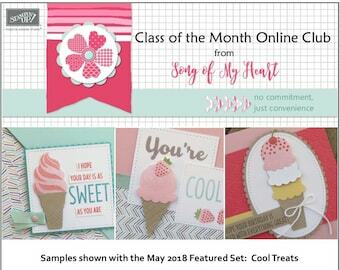 Class of the Month: First Frost PLUS BONUS PDF Instant Digital Download Cardmaking Classes roses wreaths berries rubber stamps Stampin' Up! thanks, this is so great!